Washington, DC – The Arc released the following statement after Senator Tom Harkin’s (D-IA) final Senate Committee Hearing on disability issues entitled “Fulfilling the Promise: Overcoming Persistent Barriers to Economic Self-Sufficiency for People with Disabilities”. 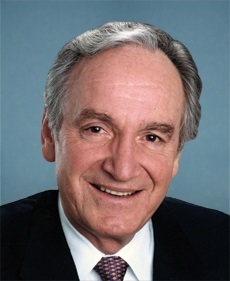 Senator Harkin has been a powerful advocate for individuals with intellectual and developmental disabilities for almost four decades, serving in both the House of Representatives and the Senate. “Today a legend in the disability community held what is likely his final Senate Committee hearing on disability issues, advocating for individuals with disabilities until the very end of his final term in Congress. Senator Harkin has been a longtime advocate for individuals with disabilities, supporting or spearheading all major disability legislation in the last 40 years. His final hearing focused on poverty, a huge problem facing many individuals with disabilities. This hearing, like so many before, highlighted one of the key issues facing people with disabilities, and challenged legislators to look for solutions. “Senator Harkin is a hero to The Arc and our advocates across the country, and his legacy will live on. We thank him for his years of service, and friendship to our community,” said Marty Ford, Senior Executive Officer of Public Policy for The Arc.